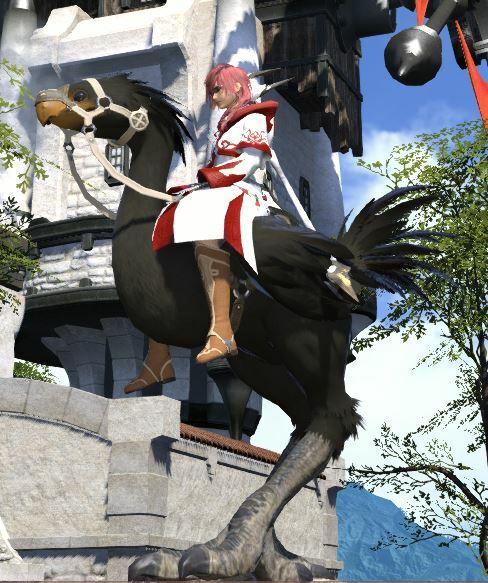 Many players has been experimenting with their Chocobos and its color dyeing process and dealt with frustration. In many cases, the players sinks into a color loops and their endless attempts of feeding different fruits just brings them back to the same trap. This thread is an attempt to help end all these frustrations. 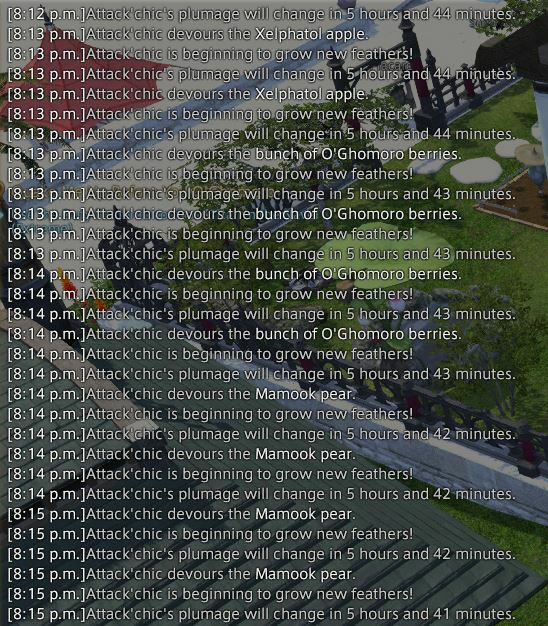 After two weeks of personal research and experiments, growing hundreds of different fruits and countless of feeding experiments and data analysis, I believe I am close at figuring out the chocobo color dyeing logic and its process. The initial discovery was that the "feather proc" signals the change in color, and this still hold true. However, what we did not have was a way to keep track of the behavior the fruits have thereafter. 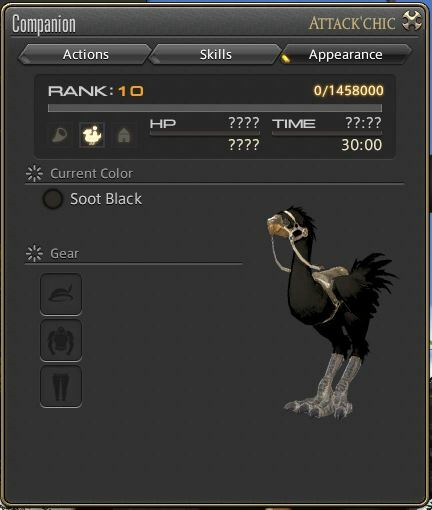 So some other players started to formulate behind the theory that all fruits behaves in the matter described in the patch note, deepen or lighten a given color, hence the creation of the Chocobo Colour Simulator spreadsheet. This theory is described in the Missing Manual thread. Following the Missing Manual theory, I started taking my experiment down that direction, and using the simulator I started to noticed many players faces with the color trap. After trying it out this way myself, I was never able to reach the desired color. It was with this I started noticing that when people recommends feed amount it tends to be in huge quantity of fruits and assumes the result is the net mathematical sum, so order/qty of feed doesn't matter. 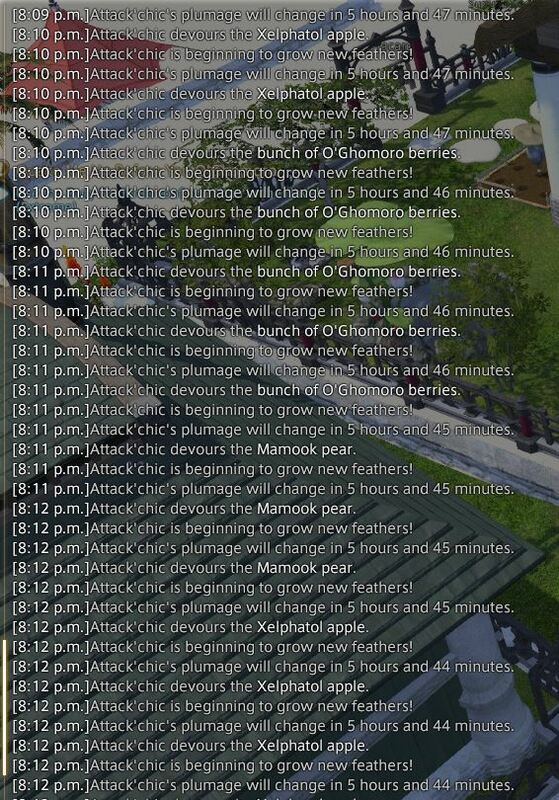 My whole reason to experiment down this path is that I have observed that in a very general sense, is most people recommends XYZ fruits, and the ones seeking help just feed that amount in one sitting, or one type of fruit until they get a feather proc if they are following the feather proc method. What happens here is most people (myself included) just takes into consideration only the math, and not the true value of RGB or color mixing in reality. I myself made this mistake back when I was doing the apple feed after I confirmed the feather proc method, and didn't pay any attention to this RGB value "wall", and kept on chasing the logic down the wrong path. Using apples as our simple example, we move from desert yellow down to blood red, but once we reach blood red, we hit the wall and start to wonder why apple won't bring down the red more. The reasoning behind this is very simple, and that is, the RGB value for blood red (143, 63, 39) has already hit the wall, and any more force feeding of apples will not allow the values to go down any further. 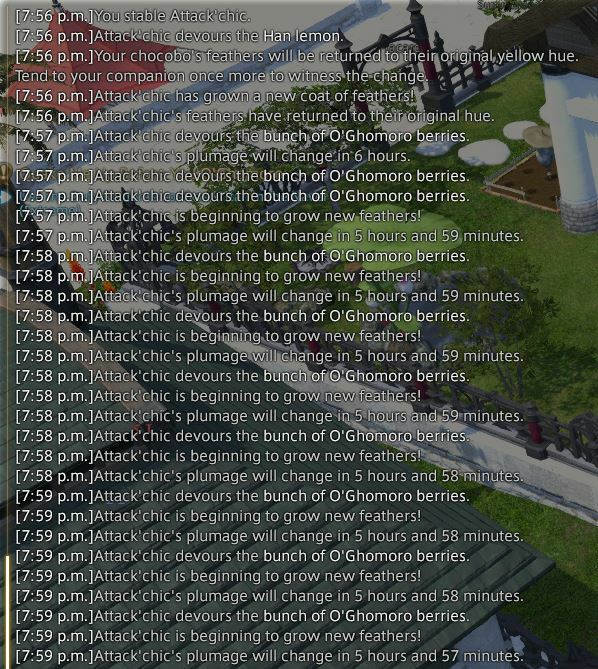 When using apples, we are doing +R, -G, -B, and B for Blood Red is already at 39. If each fruit has an average value of 5 as others have derived, then how will 10 apples be able to bring B from 39 down to -9? It will not, because -9 B is not a possible value for any color. So in this case, only 8 apples has any true effect on the RGB value, and the other 2 are nullified. 9/12: RGB value updated, ver 4.0, Used in game print screen, then extracted RGB value using GIMP 7x7 sample space avg, verified with another sample location. RGB value now to EXACT reading and removed all rounding. This still may not be the exact in game RGB values. Two feedings of the exact same fruits, but yet, very different results. My microfeeding procedure pretty much is just to pay careful attention on the order and amount of fruits are fed to help eliminates a lot of unnecessary mistakes. 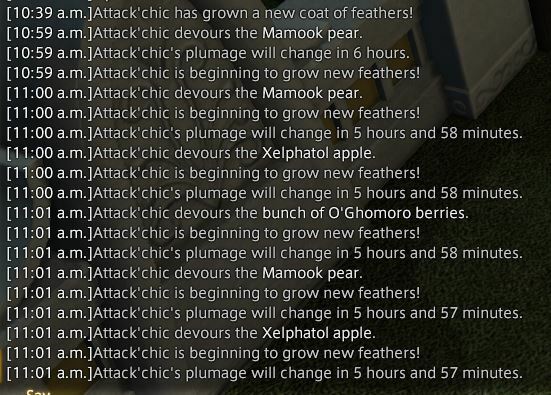 Once again, most of the people will likely just feed their chocobo 18 pears, 21 apples, and 29 berries in that order. However, feeding it this way will force G to 253 by the 14th pear, and B to 2 by the 17th pear, and -3 by the 18th, which is not within the color space. This in effect makes any G adjustment null after then 15th pear, and the 18th pear only adjustments the B by 2, and not 5 indicated by the calculator. Same will hold true for all the 21 apples that follows, since B is already at 0, and same will happen for berries. Again, here we can see both fed the same amount of fruits, but yet, produced very different results. With this knowledge in hand, we need to be careful on how we feed the fruits, especially at those end value ranges where 1 fruit too much may push the value to null and returns incorrect value. 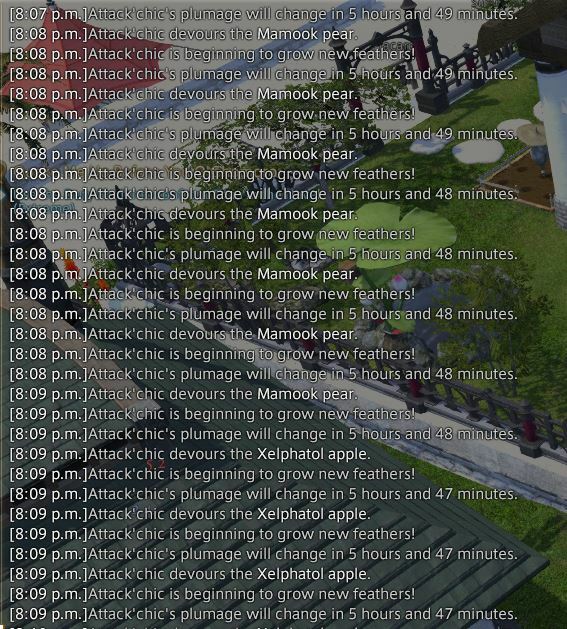 In my own experiment I reset my bird to desert yellow, employed the microfeeding method. Being Soot Black seems to be the most desired color, or at least the hottest color in discussion, I will set Soot Black as my initial, and ultimate trial. 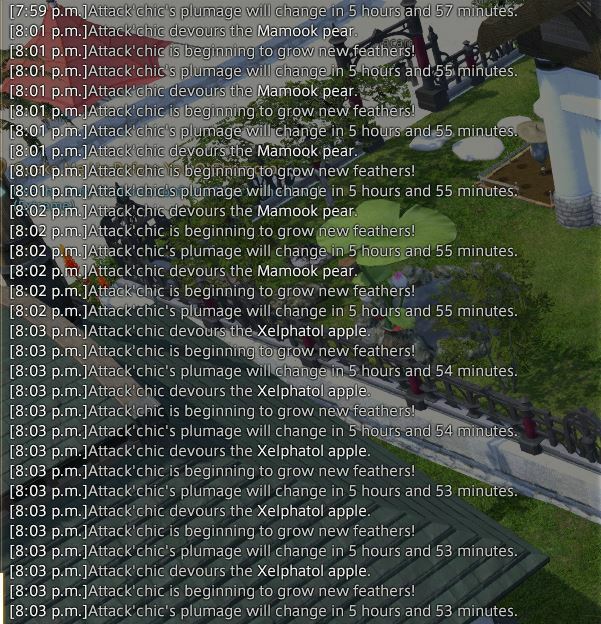 Fruits: 18 apples, 31 berries, 22 pears. Last edited by AttacKat; 09-13-2014 at 10:08 AM. Used in game print screen, then extracted RGB value using GIMP 7x7 sample space avg, verified with another sample location. RGB value now to EXACT reading and removed all rounding. This still may not be the exact in game RGB values. METHOD PROCEDURE: How do I do this? D. Check if any of the RGB values is 0 or 255. 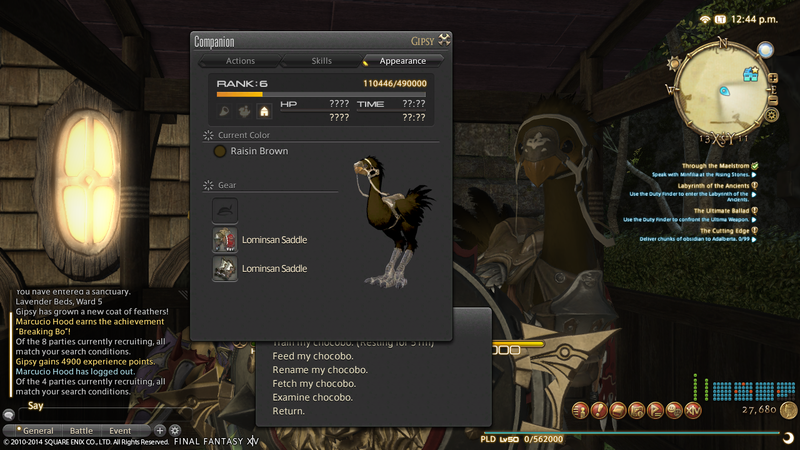 G: Feed your chocobo in the steps worked out from the spreadsheet. ** There may be times when you will need to rearrange the fruit feeding order. EG: berry must be fed first. How do I fine tune microfeeding? where all the steps after 5 are for fine tuning purposes. Q: What is the benefit of the Microfeeding approach? 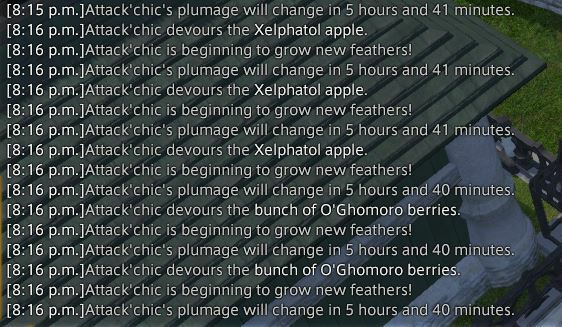 A: By knowing the amount, the kind, and order, of fruits you need feed to adjust the RGB value, it allows you to do one initial massive feeding, and reduces the need to wait 6 hours at every feather proc. This approach quickly moves you within the desired color range after your first feeding. Q: Why are you NOT using the color map? A: Because the color map only shows single fruit color paths. The microfeeding method allows you to calculate what you need between any two colors. Q: What about the RNG that SE loves to throw at us? 1: We do not have the ACTUAL RGB values, so we best guesstimate what they are. 2: We do not have the ACTUAL adjustment values of the fruits, therefore, they are also best guesstimates. Q: I am trapped in a loop between ColorA and ColorC, I want to get to ColorB but it keeps going back and forth between ColorA and ColorC. What do I do now? You are over shooting the color value of your desired color, so instead of feeding the full recommend amount, break it down into microfeeds. Using the Color Simulator Spreadsheet, starting with your current color and arrange your feeding so the last fruits takes you to the desired color range. 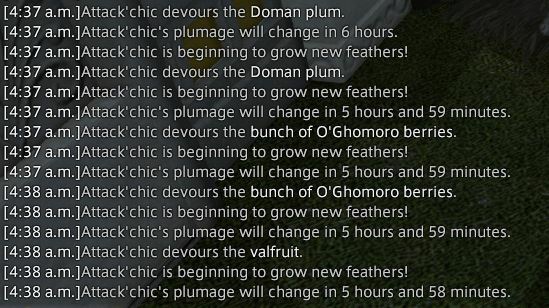 Feed your Chocobo your newly derived microfeeding pattern, and stop at the first feather proc that takes you into the desire color range indicated by the spreadsheet. You can look at the recommendations for "Soot Black" for examples. Last edited by AttacKat; 09-13-2014 at 10:01 PM. * ALL paths here starts with the named color, ending with Soot Black. 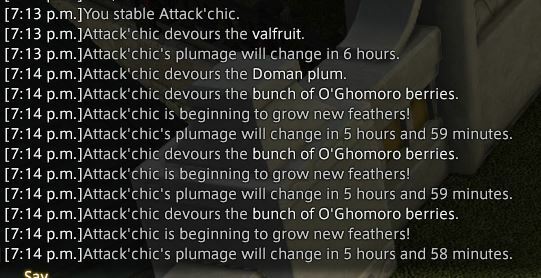 For those of you that are trying to get out of a loop, you can try feeding and stop at the step noted by @ or 1st feather proc, which ever is later. ** ALL paths here starts with the default Desert Yellow color. Last edited by AttacKat; 09-15-2014 at 12:22 AM. 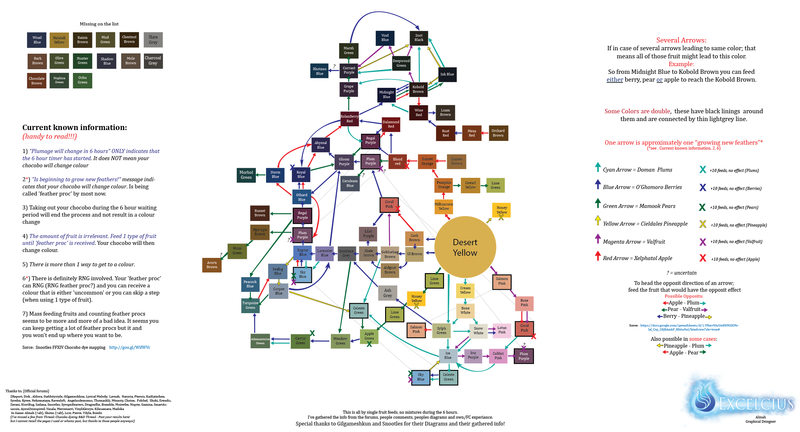 That chart seems to make sense, though I only found it after feeding my chocobo for the last time (I ended up on the color I wanted). I can say, however, that the path I took is not on the chart. I was at Coral pink, fed Valfruit (several, foolishly) and ended up at Regal Purple. So it looks like there are probably additional paths not outlined. There's not actually any path to suggest what happens when feeding Valfruit while Coral Pink, but I imagine a complete chart would have 6 arrows (1 for each fruit) coming from each color, excluding extremes. It's not that there are strict paths, it's more that this is a relatively easy chart for people to follow instead of mathing out the correct RGB shift and unloading a pile of fruit while hoping RNG doesn't make the bird deviate too much. This was how I obtained the color values for my RGB spreadsheet, except I used both ACDPro and Perfect Photo Suite and noticed different values for neighboring pixels in the same color box. The difference was the reasoning behind why I rounded the values instead of taking the exact. Last edited by AttacKat; 09-07-2014 at 08:58 PM. Last edited by reivaxe; 09-08-2014 at 02:47 AM.